Quick and easy Nacho Grilled Corn on the Cob topped with nacho sauce, pico de gallo, and queso fresco or feta. The perfect side for celebrating the end of the school year or serving at bbq’s and backyard parties. This busy momma’s got mixed feelings about it all; however, we will be celebrating their achievement with a little party. 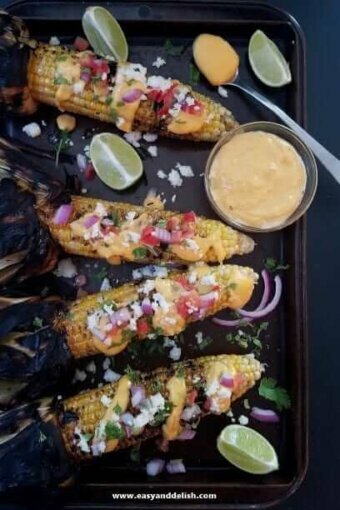 Some time soaking in the pool along with friends, delicious barbecue, and of course, this great side: Nacho Grilled Corn on the Cob. Yes!!!!!!!!! Nacho cheese sauce as a topping for grilled corn on the cob? Well, if this is your first time, please know that from now on this is gonna be one of your go-to sides. I am not kidding at all, because it’s quite delish! 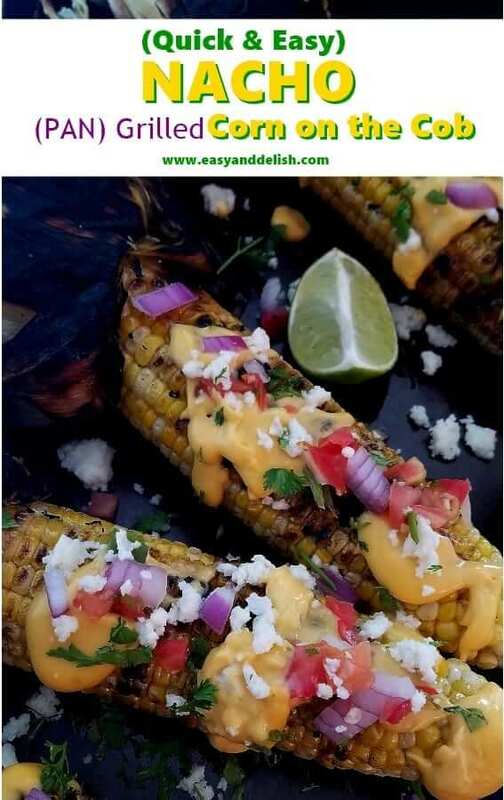 I got the inspiration from a classic: Mexican Street Corn (Elotes) — which is corn on the cob either boiled or grilled, and served slathered in a chili-and lime mayo sauce with cheese. One more thing: if you don’t want to use your grill, heat your grill-pan! Easy peasy! In a small bowl, combine the vegetable oil, salt, and ground pepper to taste. 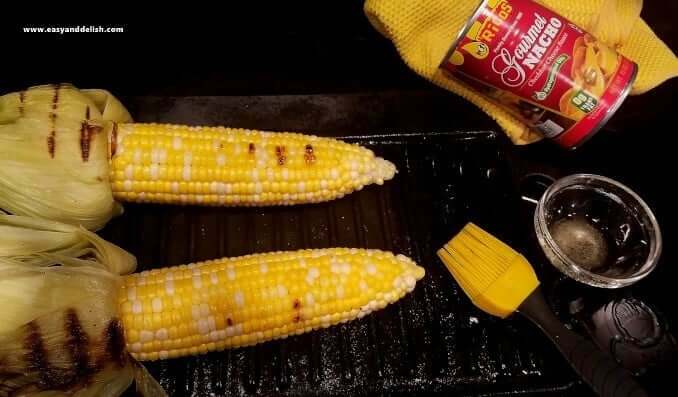 When the pan is hot, brush the corn with the seasoned oil and then grill all sides until the corn is charred and tender (approximately 8-12 minutes). 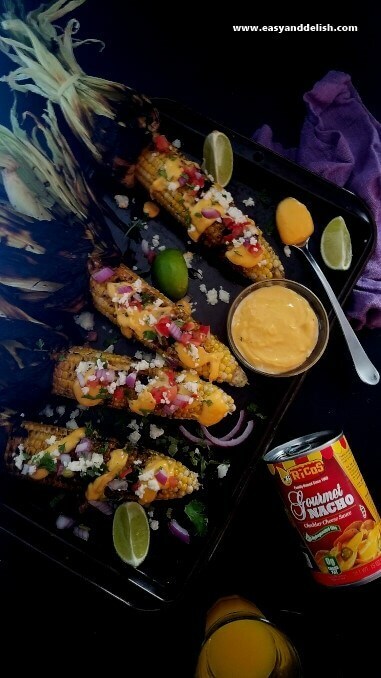 Serve corn slathered or topped with warm Rico’s Gourmet Nacho Cheese Sauce, pico de gallo, and queso fresco. Alternatively, you can sprinkle on a bit of chili powder and lime juice. 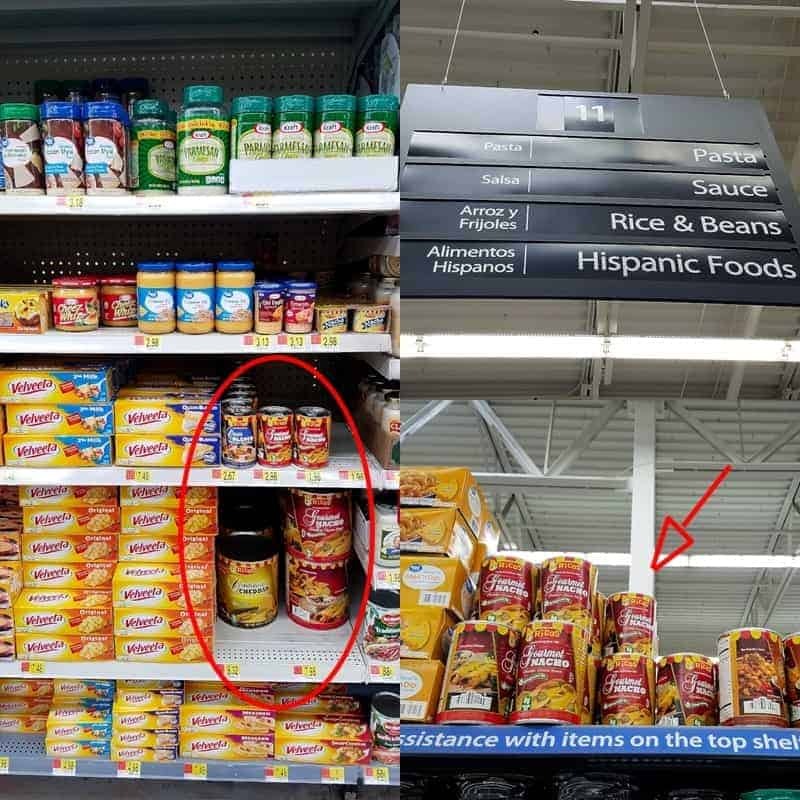 All the ingredients for our Queso Grilled Corn on the Cob are conveniently available at Walmart — including Ricos Gourmet Nacho Cheese Sauce, which is trans fat FREE and made with no hydrogenated oils. It can be used as an ingredient for a dish, a dip, or a topping. Yep! Just heat and eat! Basically, fun food for a fun world. Ricos has a entire line of cheese sauces that are great for parties, birthdays, holidays, bbqs & other occasions. For more information about Rico’s cheese sauces and other delicious recipes, take a look at their website! If so, learn how to participate and also ENTER THE SWEEPSTAKES HERE — which goes live from 1/15/18 to 5/31/18! Enter now, and good luck! And here is our Nacho Grilled Corn on the Cob to mark the beginning of a great summer. Enjoy! Heat a grill pan over medium-high heat. In a small bowl, combine the vegetable oil, salt, and ground pepper to taste. When the pan is hot, brush the corn with the seasoned oil and then grill all sides until the corn is charred and cooked (8-12 minutes total). 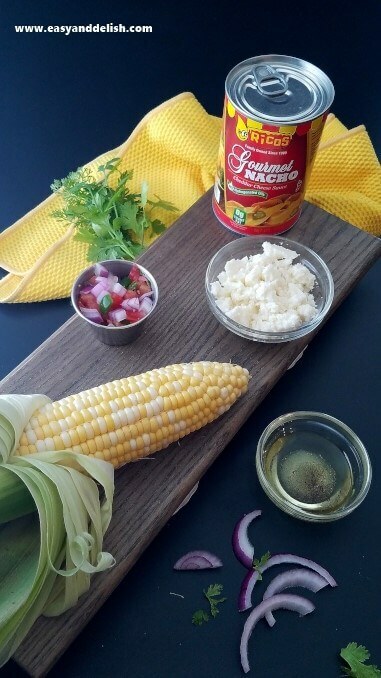 Serve corn slathered/topped with warm nacho cheese sauce, pico de gallo, and crumbled queso fresco. If desired, you can sprinkle on a bit of chili powder and lime juice. Although this nacho grilled corn on the cob is a feast by all itself, you can also serve as a side for barbecue or grilled meats. Freshly harvested corn is sublime! What a wow recipe to celebrate the end of school! Looking forward to fresh local corn. This looks like such an interesting way to serve it — very creative. Thanks!